Are you looking for the accessories or props for the shoot of your newborn baby? 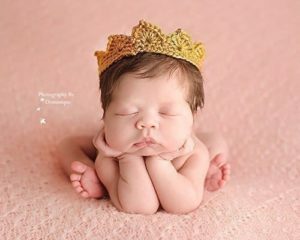 This gold crochet crown for a newborn baby could be the perfect prop for your newborn baby photo shoot. Handmade and hand crocheted from a soft acrylic yarn.